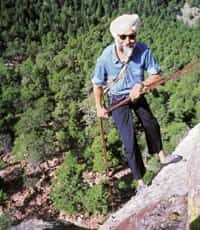 That true-blue adventurers are a rare commodity in India has been proved yet again with the 2009 edition of the Limca Book of Records naming Mandip Singh Soin, 51, as India’s most versatile sportsperson, 17 years after recognizing him as such for the first time. You are one of the first ecotourism promoters in the country. But isn’t staying away the best way to preserve a sensitive environment? That is never going to happen. You can’t keep the spirit bottled up. There is a reason why tourism has become the world’s No.1 industry. I am part of an international initiative that is lobbying to make access to any natural area a human right—provided one does it responsibly. The Nanda Devi Biosphere Reserve, for example, became off-limits in 1981 because people were cutting trees for firewood and leaving garbage there. But now there are reports that poachers are stealing rare medicinal herbs and killing wildlife. Expeditions can also serve as eyes and ears for the authorities. Bans are never the solution. What we need is responsible tourism. Scientists and experts believe that certain park zones, such as the core area, should be inviolate. So there should be at least limited access to places such as Nanda Devi, maybe restricted to only a few trips a year. The Uttarakhand government now takes a deposit of Rs10,000 from mountaineering expeditions, which is returned when they bring back all their garbage with them. How is ecotourism more environmentally friendly than “regular" tourism? Does it call for more hardship? Ecotourism, as opposed to “bubble" tourism, can be of many types. The Central government, for instance, has launched rural tourism in association with UNDP. Tourists go to villages, live in local dwellings and get to see and buy locally produced handicrafts. This is win-win tourism. With ecotours, you come away a little more sensitized and, as opposed to mass tourism, you remember the details. There are luxury-end ecotours as well. The boutique lodges at Bandhavgarh and Panna, for instance, are priced at $1,500 (Rs75,000) a night. Some of this money goes towards conservation efforts and to local communities, for things like solar lighting, schoolbags and environmental education. What’s new in adventure tourism in India? Apart from extreme-adventure tourism like mountaineering and high-altitude trekking and the softer option of jeep safaris, now we have a third option that lies somewhere in between: not-too-soft outdoor activities like daylong walks in Arunachal Pradesh and Ladakh. There are also more cycling and trekking options, since mountain bikes and such are more readily available now. For rafting—Indians’ favourite adventure sport, along with trekking—there are more options beyond the Ganga in Rishikesh, like the Zanskar river or the Brahmaputra. Thanks to the National Geographic and Discovery channels, people are a little more willing to rough it out. Are Indians really adventurous when it comes to travel? When it comes to adventure travel, I would say foreign tourists outnumber Indians by six to one. And, for softer adventures, they outnumber us four to one. Indian parents tend to be too cautious; I feel that a spirit of adventure helps you handle life better. My oldest client on a Himalayan trek was a 78-year-old Austrian. As a nation we lack, say, England’s innate spirit of adventure. Even the quality of climbs that foreigners do is far superior. In all these years of adventure travel and sports, what has been your favourite expedition? 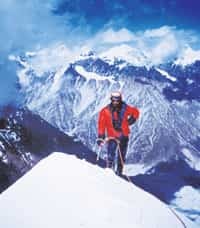 The ascent of Mount Meru in Uttarakhand in 1986. There were four of us, three Indians and a Swede, and we did what’s called semi-Alpine climbing (no porter, no tents). It was a technical route, we were on the rock face for two nights and had to cut ice ledges. The camaraderie was great, the weather was great. We were the first Indians to ascend Meru and it was a rapid ascent—21,000ft in four days. We descended in two days. As it happens, no Indian has climbed it since then. Another memorable expedition in India or abroad? A walk on the frozen Zanskar river. The river flows through a gorge and we did a seven-day walk from Leh to Padum, the district headquarters of Zanskar. We stayed in Zanskari homes. The trek is now offered commercially. It is a good example of ecotourism as it is of economic value to the Zanskaris. Because during winters, the porters get three times the summer rates. The 30-35 day trek from Manali in Himachal Pradesh to Kargil in Kashmir, where we covered 400-450km. This was probably in 1975, when we were in college. We ran out of food after 20 days and lost two mules, one to a snow leopard. On the last day of our expedition in the Arctic, there was a snowstorm and the temperature plunged from -25 degrees Celsius to -45 degrees Celsius. This was in 1989 and I was part of a UN environment expedition. Three days later we were in Delhi, and the temperature was 45 degrees Celsius! The camel expedition in 1986 across the Thar desert, from Jaisalmer to the Rann of Kutch. At the end of nine days and 450km, our bottoms were very sore. I think I lost the friendship of five of the 10 people I took along. Ladakh, followed closely by Kerala, where there are many soft adventure options, like walking in wildlife parks. The Periyar National Park has poacher-turned-guides and you can now camp inside the park. There is also mountain-biking and trekking in Munnar.